Dr. Pandit talks about the joys of sharing scuba adventures with his family and how symptoms of the head and ears should be treated effectively in order to maintain quality of life for activities where changes in air pressure most often occur. EpiPen® Brand in Short Supply. There are alternatives! School has started, and many parents and teachers are finding it hard to locate the name brand EpiPen® (epinephrine injection, USP) for use in allergic emergencies before the patient reaches the emergency room. A student or teacher at risk of allergic reactions needs this portable life-saving injection available at all times in case of a life-threatening anaphylactic reaction. In an August 17 article by Chris Sommer of KRLD 1, the recent shortage of the Mylan EpiPen® (2) was highlighted along with some reassuring news. Anaphylaxis is an emergency medical condition that can quickly progress after initial symptoms begin. Individuals with asthma and/or allergies who have had a severe allergic reaction at one time are more likely to experience anaphylaxis. In the U.S., the number of anaphylactic events has risen in recent years. Common allergens that trigger anaphylaxis include food, insect stings and bites, medications, and latex. Data estimates food-related allergic emergencies average sending someone to the hospital every 3 minutes. Peanut allergies are becoming more prevalent in children. Learn to recognize the symptoms of anaphylaxis and know how to respond. Dust from the Sahara Desert (the world's third largest desert located about 5,000 miles away in North Africa), is drifting over Texas again and causing an increase in allergy complaints. Runny nose, scratchy throat, post-nasal drainage. Sneezing. Sometimes congestion, and hot summer temperatures aren’t helping either. 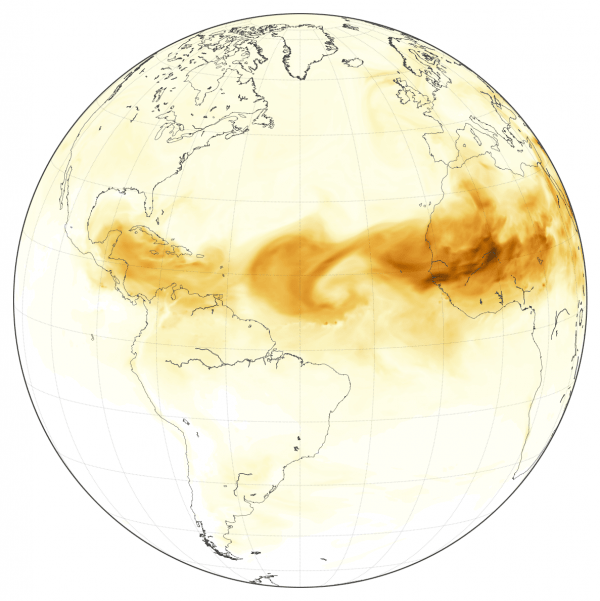 The dust cloud is officially called the Saharan Air Layer. It forms in the late spring or early summer every year due to storms in Africa’s Sahel region bordering the Sahara Desert. And then, it drifts across the Atlantic Ocean into the western hemisphere. This particular dust outbreak left the African coast about ten days ago, where it was about the size of the continental United States. It traveled across the tropical Atlantic, through the Caribbean, between Central America and Cuba, and into the Gulf of Mexico. It arrived at our door about ¾ the size of the entire state of Texas. And while this event may seem unusual, these traveling dust clouds have been occurring for hundreds, if not thousands, of years. The air layers propelling the dust tend to stay about a mile above the Earth’s surface, with strong winds, extremely dry air, and very high temperatures. This phenomenon sometimes suppresses the development of tropical storms and hurricanes. The dust cloud can even encourage toxic algae blooms in the Gulf of Mexico. Over land, the hazy, dust-laden air can prevent storm clouds from developing and increase the potential for hotter days. Because Saharan dust includes a type of sand not found in our area, it can trigger your immune system to react with symptoms typical of springtime allergies. Dr. Rajiv Pandit told fox4news.com that about 25% more patients are calling with nasal congestion, sneezing and post-nasal drip. For mild symptoms, he recommends saline spray, air purifiers and nasal irrigation. But for those with underlying breathing issues, the risk of more serious symptoms increases, especially patients with a history of asthma or emphysema. Those individuals need to be close to their inhalers. While the dust storm doesn’t present any serious threat for most people, Dr. Pandit recommends limiting time outside and keeping hydrated. If over the counter medications don't work or symptoms get worse, please come in and let Dr. Pandit evaluate your condition. In the meantime, stay inside in the air conditioning and enjoy one of the actual benefits of the desert dust: beautiful sunsets! Here’s how to deal with Cedar Fever. One day you feel fine, and as soon as the weather changes, you feel sick, again! As warmer air moves in from the south, it may be bringing the reason you feel sick – pollen from Mountain Cedar. When Mountain Cedar blooms in the hill country, the pollen catches a ride up north on warm air during mild winter weather. "Have you had these symptoms for more than a week?" "Have you had these symptoms recur on a regular basis?" "Did you have them last winter and the winter before?" Cedar may be what's irritating your throat, making you congested and tired with a low-grade fever. That's generally what Cedar Fever is, and with the pollen counts that we have in Dallas, it’s very possible for you to experience Cedar Fever. And it can feel worse than a cold. If you think you're suffering from allergies, using an air purifier at home can help. Saline sprays and nasal washes can also offer relief. If those remedies don’t work, Dr. Pandit recommends starting over-the-counter allergy medicines. And, if you feel really bad, or course, come in to see Dr. Pandit to make sure it's not a virus or an infection. 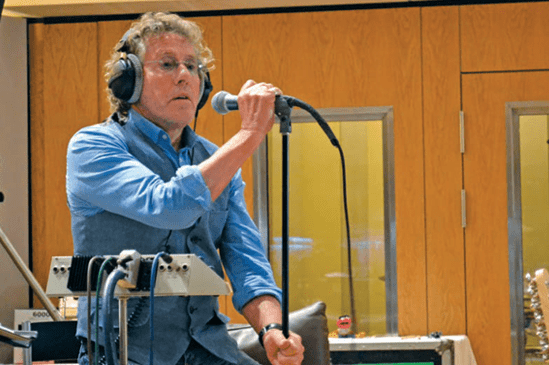 Learn how Dr. Pandit’s experience, expertise, and quick thinking was able to save this rocker’s voice and provide him with simple solutions to keep him performing well and taking care of his vocal health daily. As we head into the end of summer, many families are traveling the friendly (and sometimes germy) skies to vacation and visit family and friends. Unfortunately, for many, that means summer colds and vacation woes. Here are a few friendly tips for keeping those colds at bay. HYDRATE. One of the biggest problems with air travel is the low humidity on the planes which tends to dry out sinuses and create a breeding ground for airborne germs. Staying well hydrated with plenty of water will both counter the effects of air travel such as fatigue, headaches and nausea, and help your body’s natural defenses battle any bugs that might be on the lurk. Beware of alcohol and even coffee as both can dehydrate rather than hydrate. 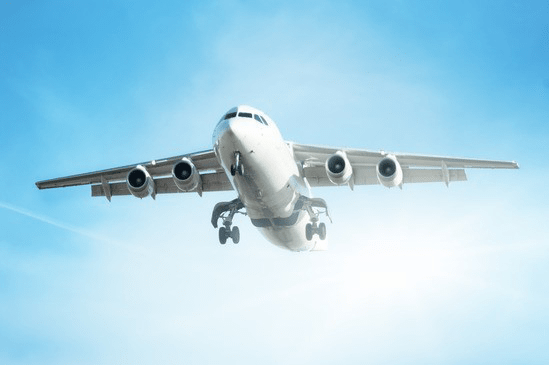 When traveling – H2O is still the best way to go! WASH. Wash your hands often with hot water and soap – even more so when you travel. Handrails and seat backs and all the many things you come in contact with in an airport, taxi or even hotel can be a virtual soup of germs. In those cases where hot water and soap aren’t available, settle for an alcohol-based anti-bacterial. VITAMIN UP. If it sounds a little like your mom in your ear telling you to take your vitamins, then so be it in terms of keeping your family well. A good multivitamin and of course, large doses of Vitamin C are always good preventative measures for keeping colds at bay or at least lessening the duration of them should one strike. FINALLY summer is here-right? And you and your family are probably looking forward to some sun and fun. 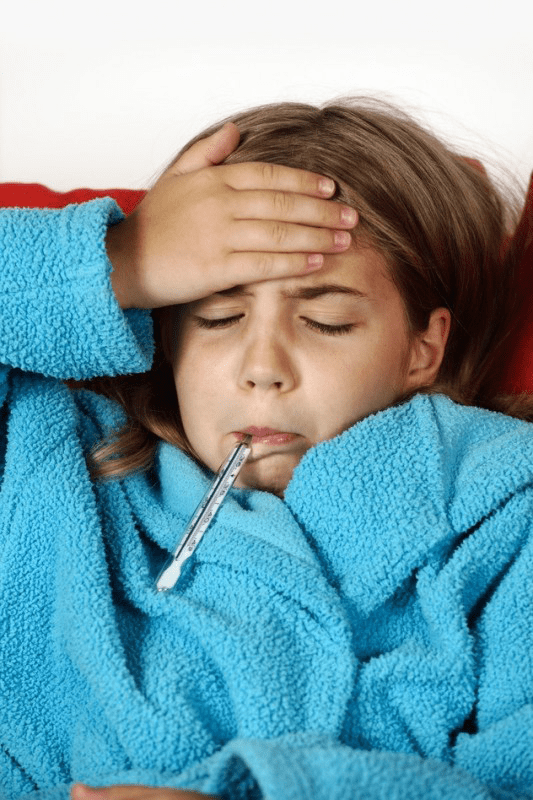 However, Murphy’s Law being what it is, you find yourself of someone in your family down for the count with a fever, runny nose and an all-around miserable feeling. Is it a summer cold? Seasonal Allergies? Respiratory infection? Let’s take a look at the differences. With both colds and allergies, you’re likely to have post-nasal drip, scratchy throat, headache, and congestion. 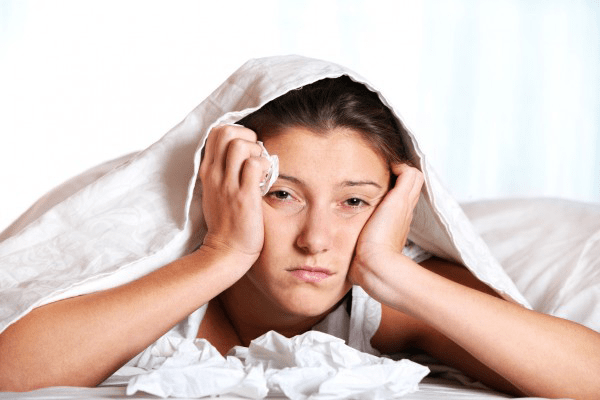 Fever and body aches? You’ll find those with colds very often, but not with allergies. With colds, as opposed to allergies, your mucus production will more likely be cloudy or discolored as opposed to allergy symptoms where it would be clearer. Upper respiratory infections are common culprits as well and are caused by a viral infection that typically can last from 3-14 days. Allergies will remain as long as you are exposed to the pollens or allergy trigger that you are especially affected by. Allergies left untreated can definitely spike depending on the climate and season when certain plants and trees are blooming, or heavy rains or humidity send grass and molds into high gear. Top those allergies off WITH a common cold and feeling better turns out to be a case of later rather than sooner. If you’re feeling like a summer cold is what’s got you down, over the counter treatments can offer some relief along with a fever reducer, steamy showers to open up nasal passages, a little “Mother Nature’s sunshine,” plenty of fluids and as much rest as possible. If your fever persists or your symptoms just won’t go away, it’s time to get in to see the doctor to rule out sinus infection, respiratory distress, or underlying allergies that can be easily treated and have you back to enjoying your summertime. Feel like it might be time for YOU or a family member to get in for a visit? No problem! Call our office today at 214-946-3687 for a convenient appointment. We’re here to help you feel BETTER! Snoring is a problem that affects 45% of normal adults at least occasionally, and 25% are habitual snorers. Problem snoring is more frequent in males and overweight persons, and usually worsens with age. Snoring occurs when there is an obstruction to the free flow of air through the passages at the back of the mouth and nose. This area is the collapsible part of the airway where the tongue and upper throat meet the soft palate and uvula. Snoring occurs when these structures strike each other and vibrate during breathing. Snoring is not just a social nuisance; there’s more to be concerned about than disturbing someone’s sleep. Poor muscle tone in the tongue and throat. When muscles are too relaxed, the tongue falls backwards into the airway, or the throat muscles draw in from the sides into the airway. This can also happen during deep sleep. Excessive bulkiness of throat tissue. Children with large tonsils and adenoids often snore. Overweight people have bulky neck tissue, too. Cysts or tumors can also cause bulk, but are rare. Long soft palate and/or uvula. A long palate narrows the opening from the nose into the throat. As it dangles, it acts as a noisy flutter valve during relaxed breathing. A long uvula makes matters worse. Obstructed nasal airways. A stuffy or blocked nose requires extra effort to pull air through it. This creates an exaggerated vacuum in the throat, pulling together the floppy tissues of the throat and snoring results. Snoring often occurs only during hay fever season or with a cold or sinus infection. Learn more about treatment for snoring at Dallas ENT. Balloon Sinuplasty for immediate sinus relief is now being performed in the Dallas ENT office. Balloon Sinuplasty for immediate sinus relief is now being performed in the office. Dr Rajiv Pandit, among the first in the country to perform the procedure - first in the hospital and now in his office. With no need to use general anesthesia, patients can undergo this procedure in the office in about an hour and then drive home. It's that quick, simple and easy. Phil Schoenborn has suffered from sinus problems for years--and on this day is finally finding relief in the comfort of the doctor's office. He's undergoing balloon sinuplasty which until last year was performed at a hospital under general anesthesia. Dr. Rajiv Pandit was among the first in the country to perform the procedure--first in the hospital and now in his office. What used to cost $15,000.00 to $20,000.00 at the hospital now costs about $1,500.000 in the office and according to developers saves Medicare $3,400.00 a procedure. "It's thousands of dollars less expensive to have the same procedure done in the office than in a surgery center," Dr. Rajiv said. "Not to mention that you don't have to take as much time off because you haven't had general anesthesia." Maribel Alanis was among the first to have the in-office procedure last July--her day was like any other day--except for the procedure which takes about an hour-and-a-half. "That was the big benefit," Maribel recalled. "To be able to drive here that late of an appointment and then be able to go home and still go to work in the morning." That's because she and Phil underwent local anesthesia for the minimally invasive procedure. Dr. Pandit uses a catheter and high-tech balloon to dilate inflamed sinuses. It was so easy for Phil that he actually tweeted between nostrils. The squeamish can still have the procedure done in a hospital setting under general anesthesia but Phil wonders why? "The fact that I don't have to stop eating or fasting at a certain point the night before I wake up and be in a hospital gown at like 5:00 in the morning, then knocked out during the procedure taking a few hours and then having to take time off from work," Phil said. The procedure is so popular Dr. Pandit will soon move to a larger facility. As with any procedure--it's not for everyone with bleeding a rare side effect. But for Phil, he and his insurance company can now breathe easier. "I feel great," Phil said. Patients who are not responding well to medication such as antibiotics or even topical steroids and treatment options can consider Balloon Sinusplasty to treat this painful condition. Chronic sinusitis is a condition in which inflammation of the nasal sinuses occurs. The procedure is a simple outpatient technique which uses the same principle as balloon angioplasty. Estimates have revealed that over 150,000 patients have used the Balloon Sinuplasty procedure. It is important to confirm with an ENT specialist that this procedure could provide you relief from sinusitis based on your body and condition. Balloon Sinuplasty achieves the result of the endoscopic procedure without incisions or the cutting of tissue, freeing the patient of post-surgery pain and swelling. During this FDA approved procedure, your ENT doctor will open the inflamed sinus in the same manner that heart surgeons use to open blocked arteries during balloon angioplasty. Once the small un-inflated balloon is inserted into the opening of your sinus, it is inflated so it expands to 3 to 5 mm. In the process, it fractures the surrounding bones and widens the opening of the sinus providing you relief from sinusitis symptoms by draining the retained mucus. The procedure has proven effective in most cases, it might not be successful if there is the presence of soft tissue growth in your nose which is otherwise known as polyps. Even if your underlying bone is inflamed, this procedure is not recommended. In comparison to other painful procedures, Balloon Sinusplasty uses flexible and soft devices and is less invasive which lessens the pain inflicted and damage done to your nasal lining. If medications have failed to cure your sinusitis and you are not ready for surgical options, you could make use of Balloon Sinuplasty. Patients who are not responding well to medication such as antibiotics or even topical steroids and treatment options can consider Balloon Sinusplasty to treat this painful condition. Chronic sinusitis is a condition in which inflammation of the nasal sinuses occurs. It is important to confirm with an ENT specialist that this procedure could provide you relief from sinusitis based on your body and condition. If medications have failed to cure your sinusitis and you are not ready for surgical options, you could make use of Balloon Sinuplasty. Your head is clogged, you nose is stuffed and your hearing sounds like someone put a pillow to your ears. Sound familiar? 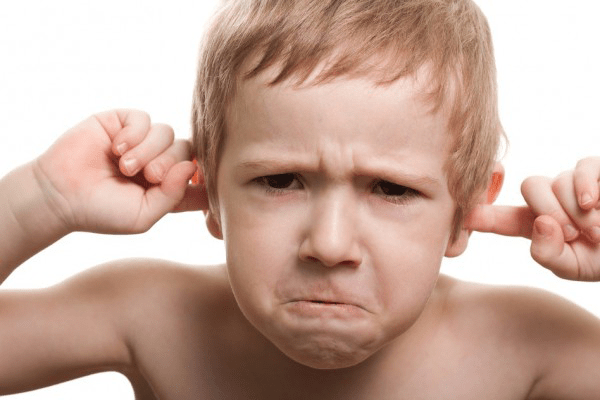 Unfortunately cold and sinus issues can create painful or uncomfortable ear trouble as well. Nasal saline sprays can offer some sinus relief, which helps the congestion in your ears as well. However, do not use for more than three days as sometimes that can make your symptoms worse. The moisture from humidifiers or hot showers can also bring temporary relief to stuffy heads and ears. Over the counter decongestants work for most people as well to help break up the congestion and sinus blockages. Use pain relievers such as Aleve, Tylenol, Motrin or Advil to ease the ache that can accompany ear congestion. Hydrate! Drink plenty of water throughout the day to help keep mucus thin and promote drainage. Avoid caffeine, salt, alcohol and smoking. All of these hinder circulation and make your symptoms worse. In most cases, symptoms don’t last long and head colds and congestion work themselves out. If you aren’t having any relief within a week or are experiencing swelling or fever, call your doctor and make sure that something more serious isn’t in the works. A mild case of laryngitis usually goes away on it’s own without a lot of fanfare (but with a few quieter days!) Sometimes, however your infection can spread and lead to a more serious case of tonsillitis, or more severe throat infection. You can have pain swallowing and even experience flu-like symptoms that have you feeling down for the count. Even breathing difficulty can be experienced if the swelling is greater. You see this more often in children, but it can happen to adults as well. As with any breathing difficulty or worsening of symptoms, don’t wait to consult your doctor right away. If symptoms are persistent or severe, call us at (214) 946.1102 for an appointment so we can get the situation assessed and get you on the mend quickly. Drink plenty of fluids. Dehydration can make your symptoms worse and make the healing process much slower. Ibuprofen to ease the pain, headache or fever. Humidifiers can help as they add moisture to the air you’re breathing in and helps to soothe the throat. REST that voice! As hard as it seems to do-not talking for long intervals really does speed up the healing process. Consider a stroboscopy. A videostrobe unit consists of a stroboscopic unit (light source and microphone), a video camera, an endoscope, and a video recorder. Videostroboscopy fulfills several important requirements of a complete voice examination. It provides useful, real-time information concerning the nature of vibration, an image to detect vocal pathology, and a permanent video record of the examination. As important as any of these aspects, stroboscopy substantially improves the sensitivity of subtle laryngeal diagnoses over techniques, such as rigid or flexible transnasal laryngoscopy, with continuous light sources. Don’t let any symptoms persist more than a week before consulting with a physician. Untreated conditions that worsen can lead to more long-term damage. We can help you assess whether yours is a simple infection or something more serious in a simple office visit. Helping families have the right answers, resources and treatment for healthier, happier lives is our passion. Please let us know if we can help! Hoarseness and other problems can occur related to problems between the nerves and muscles within the voice box or larynx. The most common neurological condition that affects the larynx is a paralysis or weakness of one or both vocal cords. Involvement of both vocal cords is rare and is usually manifested by noisy breathing or difficulty getting enough air while breathing or talking. When one vocal cord is paralyzed or weak, voice is usually the problem rather than breathing. One vocal cord can become paralyzed or weakened (paresis) from a viral infection of the throat, after surgery in the neck or chest, from a tumor or growth along the laryngeal nerves, or for unknown reasons. Vocal cord paralysis typically presents with a soft and breathy voice. Many cases of vocal cord paralysis will recover within several months. In some cases however, the paralysis will be permanent, and may require active treatment to improve the voice. Treatment choice depends on the nature of the vocal cord paralysis, the degree of vocal impairment, and the patient’s vocal needs. While we are not able to make paralyzed vocal cords move again, there are good treatment options for improving the voice. One option includes surgery for unilateral vocal cord paralysis that repositions the vocal cord to improve contact and vibration of the paralyzed vocal cord with the non-paralyzed vocal cord. There are a variety of surgical techniques used to accomplish this. Voice therapy may be used before or after surgical treatment of the paralyzed vocal cords, or it can also be used as the sole treatment. This information is provided by the American Academy of Otolaryngology – Head and Neck Surgery, Inc., (AAO-HNS) and the American Academy of Otolaryngology – Head and Neck Surgery Foundation, Inc. (AAO-HNSF) for educational purposes only. Any information provided in this website should not be considered medical advice or a substitute for a consultation with an Otolaryngologist – Head and Neck surgeon or other physician. Local ENT doctor, Rajiv Pandit, MD, talks about the balloon procedure for Sinusitis. Dr. Pandit, 1/31 -featured on WFAA Channel 8 – Live to discuss the in-office balloon procedure. 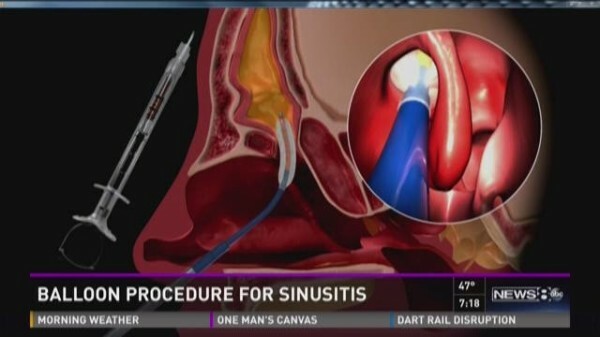 Local ENT doctor talks balloon procedure for sinusitis. Transoral robotic surgery (TORS) is an innovative, minimally invasive approach for the treatment of benign and some malignant tumors of the oral cavity, tongue, throat, and larynx. Recently FDA approved, the procedure is performed through the mouth with the da Vinci Robotic Surgical System. The da Vinci system provides magnified, high-resolution 3-D imaging of the operative site, allowing the surgeon to guide miniaturized instruments for cautery, ultrasonic vibration, or laser removal of lesions with precision accuracy in the narrow spaces inside the head and neck. Perhaps the most common symptom of sinusitis is PAIN. Sinusitis is an inflammation of the tissue lining of the sinuses. In a healthy sinus, the sinus is filled with air, but when blocked, the sinuses can become filled with fluid that can lead to infection resulting in the painful symptoms of sinusitis. Sinusitis is a problem that affects millions of people in this country. Basically, sinusitis is an inflammation of the tissue lining of the sinuses. In a healthy sinus, the sinus is filled with air, but when blocked, the sinuses can become filled with fluid. When that happens bacteria, viruses or fungi can grow, leading to infection and the painful symptoms associated with sinusitis. Acute sinusitis symptoms can be triggered by a cold, virus or allergies. The nasal pathways become blocked due to congestion leading to a build-up of bacteria, a sinus infection or sinusitis. The resulting inflammation causes swelling and leads to blocked sinus drainage. Once you are diagnosed with sinusitis, the location of your pain can help identify which sinus is affected. If you’re experiencing pain in your forehead, it indicates a problem in the frontal sinuses. Pain located behind the cheekbones, upper jaw or teeth means the maxillary sinuses are affected. Pain between the eyes, eyelid swelling or tenderness on the side of your nose, indicates the ethmoid sinuses. And lastly, if you have pain in your neck, earaches, or a deep ache on the top of your head, your sphenoid sinuses are affected. Allergy season is here, and no other area in the country is more susceptible to allergies than North Texas. More patients are prone to allergic symptoms during fall and spring. Allergies affect millions of people each year. Dallas ranks #5 in the nation on the list of worst cities for allergies. Allergies occur when there is an inflammation of the nasal mucous membrane called rhinitis. Typical symptoms include sneezing and a runny or itchy nose that is caused by irritation or congestion in the nose. There are two types: allergic rhinitis and non-allergic rhinitis. Allergic Rhinitis occurs when non-infectious particles take over the body’s immune system. Today, common substances that people come in contact with every day can be allergic triggers including plant pollens, food, molds, dust mites, feathers, animal dander, chemicals such as tobacco smoke, various foods, medicines, and insect venom. Seasonal Allergic Rhinitis or hay fever is indicated by the onset of symptoms occurring in late summer and spring. Some primary causes for seasonal allergic rhinitis, include sensitivity to ragweed, mountain cedar, oak, dogwood, and grasses. Perennial Allergic Rhinitis: Just as its name implies, this condition occurs year-round. Common triggers include pet hair, mold on wallpaper, houseplants, carpeting, and upholstery. Even automobile engine emissions have been found to trigger the condition. Patients who are susceptible to perennial allergic rhinitis should monitor their symptoms on a continuous basis. Non-Allergic Rhinitis is not dependent on any specific allergic reaction. The symptoms can be triggered by cigarette smoke and other pollutants, as well as strong odors, alcoholic beverages, and cold. Other causes may include blockages in the nose, a deviated septum, infections, and over-use of medications such as decongestants. If you are experiencing any of these symptoms, come to the Dallas Sinus Institute and learn about the different allergy treatment options we offer. Climate Change = Allergy Issues? 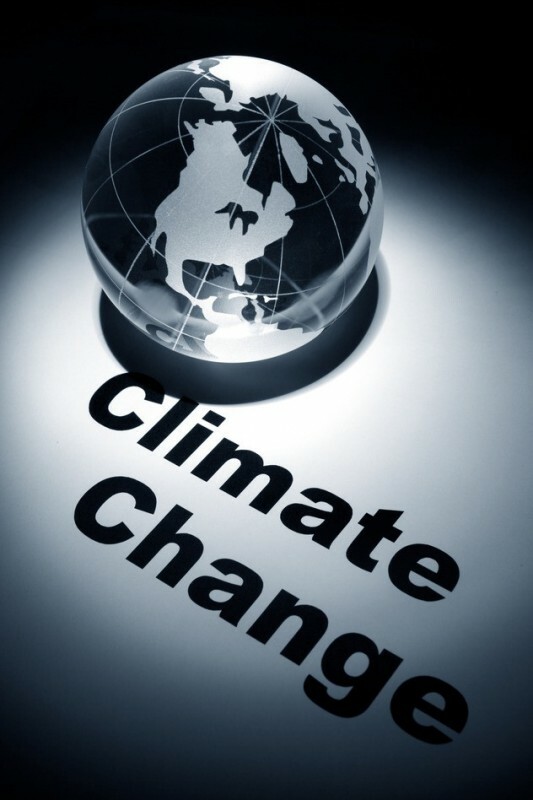 With all the buzz about global warming in the news today, it’s not a great leap to realize that as our climate and environment changes, so will we have to adapt to how those changes affect our daily lives. Recently, the Asthma and Allergy Foundation of America released a list of the worst U.S. cities for allergy sufferers today and as you can imagine, Dallas is ranked high on the list — coming in at number 23. What else are they saying? That we can settle in for an early, severe and long allergy season this spring because of extreme weather patterns. Our trees and plants are adapting and adjusting to these new patterns and unfortunately for folks in our area, that means a prolonged season of suffering. What do we recommend? The first thing we suggest our patients do is to diagnose what the root of the problem is. Is it a true allergy? If so, what is the source? Mountain cedar? Elm? Ash? Grass? Dust? Knowing WHAT the problem is makes it much easier (and faster) to determine a course of treatment. Is it something else? A sinus infection? A common cold? We can help you quickly determine what is at the heart of your symptoms so that we can best find the medication, behavior or treatment (sometimes all three) that will get you back to feeling well again. Call our office today to learn more about seasonal symptoms and how to keep yourself and your family on the path to wellness. infections. Membranes become swollen and congested. This congestion causes pain and pressure; mucus production increases during inflammation, resulting in a drippy, runny nose. These secretions may thicken over time, may slow in their drainage, and may predispose to future bacterial infection of the sinuses. Nasal saline is an invaluable addition to the list of over-the-counter medications. It is ideal for all types of nasal problems. The added moisture produced by the saline reduces thick secretions and assists in the removal of infectious agents. There is no risk of becoming “addicted” to nasal saline. It should be applied as a mist to the nose up to six times per day. Nasal saline can also be made at home: contact your otolaryngologist for details. Afrin nasal spray, Neo-Synephrine, Otrivin, Dristan nasal spray, and other brands decongest the swollen nasal membranes. They clear nasal passages almost immediately and are useful in treating the initial stages of a common cold or viral infection. Nasal decongestant sprays are safe to use, especially appropriate for preventing eustachian tube problems when flying, and to halt progression of sinus infections following colds. However, they should only be utilized for 3-5 days because prolonged use leads to rebound congestion or “getting hooked on nasal sprays.” The patient with nasal swelling caused by seasonal allergy problems should use a cromolyn sodium nasal spray. The spray must be used frequently (four times a day) during allergy season to prevent the release of histamine from the tissues, which starts the allergic reaction. It works best before symptoms become established by stabilizing the nasal membranes and has few side effects. Pressure and congestion are common symptoms of nasal passage swelling. Decongestant medications are OTC products that relieve nasal swelling, pressure, and congestion but do not treat the cause of the inflammation. They reduce blood flow to the nasal membranes leading to improved airflow, less breathing through the mouth, decreased pressure in the sinuses and head, and subsequently less discomfort. Decongestants do not relieve drippy noses. Their side effects may include light headedness or giddiness and increased blood pressure and heart rate. (Patients with high blood pressure or heart problems should consult a physician before use.) In addition, other medications may interact with oral decongestants causing side effects. Both of these are available as single products or in combination with a pain reliever or an antihistamine. They are labeled as “non-drowsy” due to a side effect of stimulation of the nervous system. Some medications are combined to reduce the number of pills. TylenolSinus or Advil Cold and Sinus exemplify products that join a pain reliever (acetaminophen or ibuprophen) with a decongestant (pseudoephedrine). These products relieve both sinus and cold/flu symptoms yet retain all the attributes of the individual drug including side effects. Antihistamines and decongestant products are often combined to relieve multiple symptoms of congestion and drainage and reduce the side effects of both products. Antihistamines produce sedation; decongestants are added to make them “non-drowsy.” The combined allergy product then relieves congestion and a runny nose. Thanks to the da Vinci® Surgical System, Maggie Westlund is now cancer-free! Suffering from a mucoepidermoid carcinoma (throat cancer), Maggie's condition required surgery. Dr. Pandit proposed using transoral robotic surgery (TORS) utilizing the da Vinci® Surgical System, which was more beneficial for two reasons; 1.) it avoided the need to make an incision in the throat and 2.) it allowed Dr. Pandit to perform the procedure through her mouth, allowing him to see better and do more intricate surgery. Thanks to surgeon Rajiv Pandit, MD, and the da Vinci® Surgical System, young mom Maggie Westlund is free of throat cancer and loving life! Read the full story Maggie's experience here!